Can biopsy confirmed disease progression give quality data? 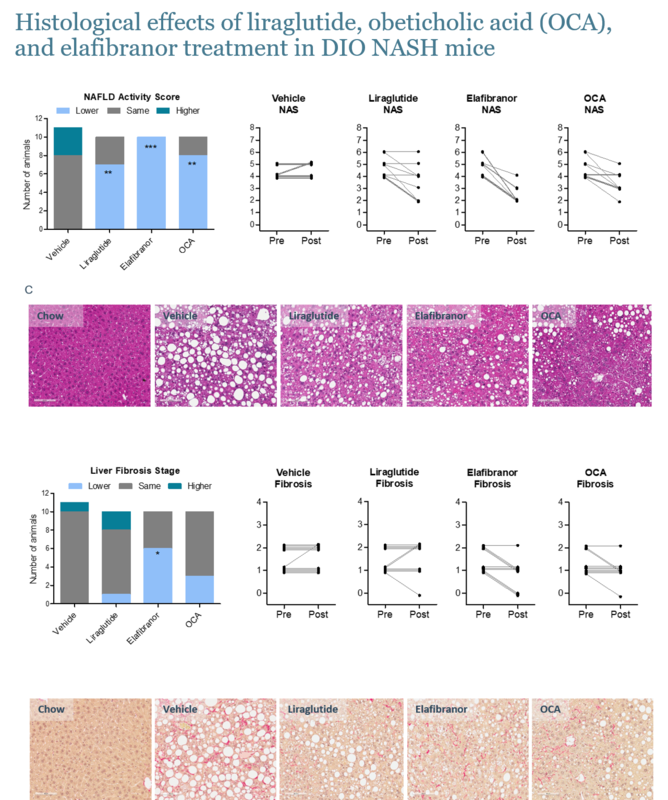 We have established and validated a diet-induced obese (DIO) mouse model of non-alcoholic steatohepatitis (NASH) for chronic efficacy studies. The DIO-NASH model exhibits key hallmarks of NASH, including steatosis, inflammation and fibrosis, uniquely identified by pre-study liver biopsy and objectively assessed by individual histological changes from baseline (pre) to study end (post) using the clinical-derived NAFLD activity score and fibrosis stage. Animals are constantly being diet-induced to allow for monthly conduction of NASH studies, and our pre/-post liver biopsies have proven especially valuable to our customers. Get in touch if you are interested in discussing how to get started with your study. The Gubra diet-induced obesity (DIO) mouse model of NASH (DIO-NASH) is based on wild-type C57BL/6 mice offered a diet high in fat, fructose and cholesterol 26+ weeks prior to pre-biopsy collection. Only animals demonstrating hepatosteatosis and fibrosis are enrolled into study groups. 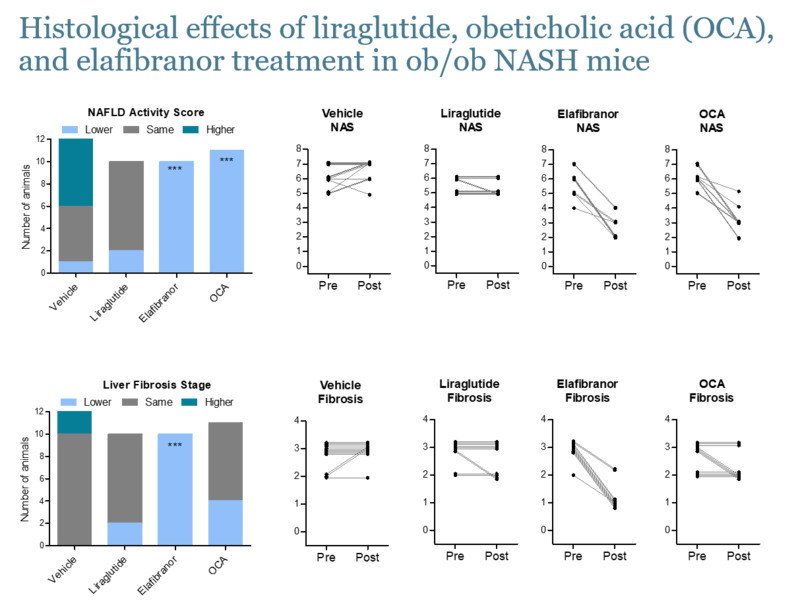 The Gubra accelerated mouse model of NASH (ob/ob NASH) is based on the leptin-deficient ob/ob mouse offered a diet high in fat, fructose and cholesterol for 12 weeks prior to pre-biopsy collection. Only animals demonstrating hepatosteatosis and fibrosis are enrolled into study groups.